i love it got it today. I LOVE IT IT'S SO BEAUTIFUL. 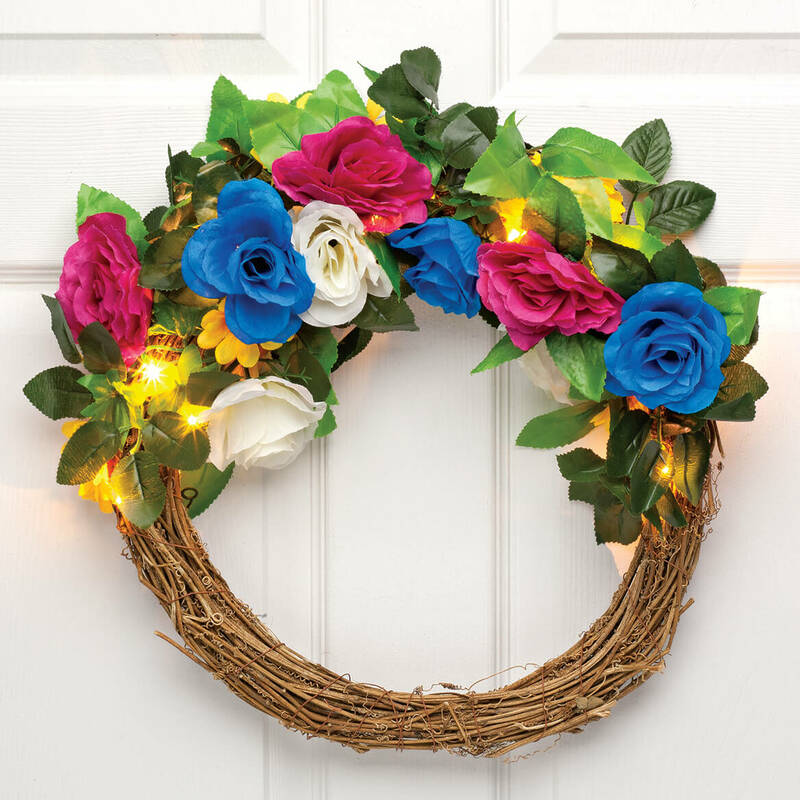 I SIMPLY LOVE THIS WREATH. IT IS NOT TO MUCH NOR TO LITTLE. This is a lovely wreath and I've had many compliments on it. The only reason uit didn't get 5 stars is that it doesn't look like the picture, there's no hummingbird on it. Awesome prices and also make my garden look beautiful with great items. I liked the size and thought it was pretty. Probably use inside wall. It is lighted and very summery. On sale for buy two get one free. Love the blue flowers and lights. PRETTY FLOWER WREATH AT A GOOD PRICE!! Because it is different with the lights on it. 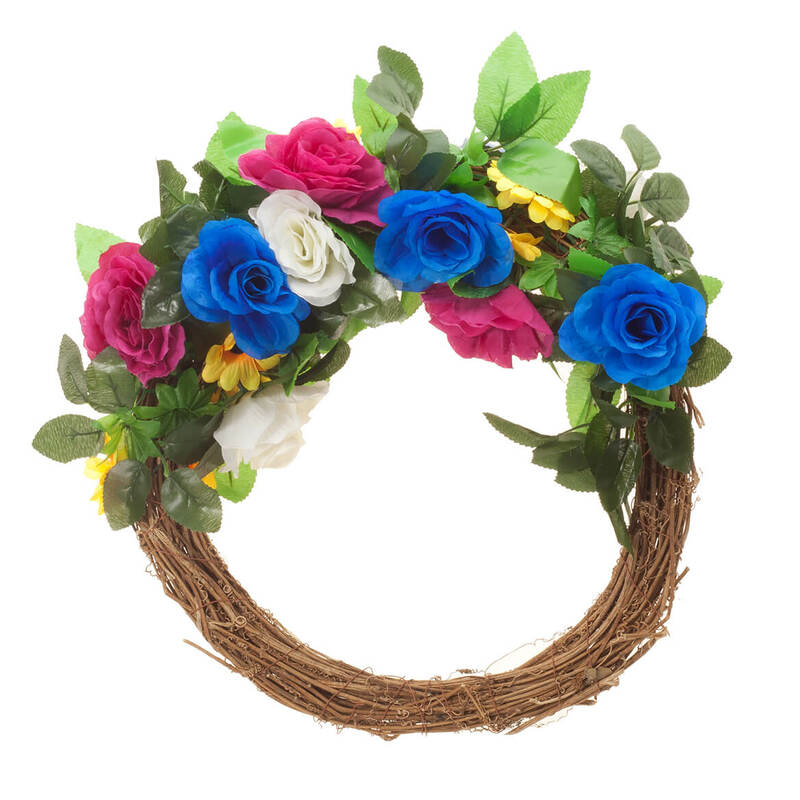 It is a lovely wreath, and its size and flowers truly say "Welcome Spring!" at our front door.